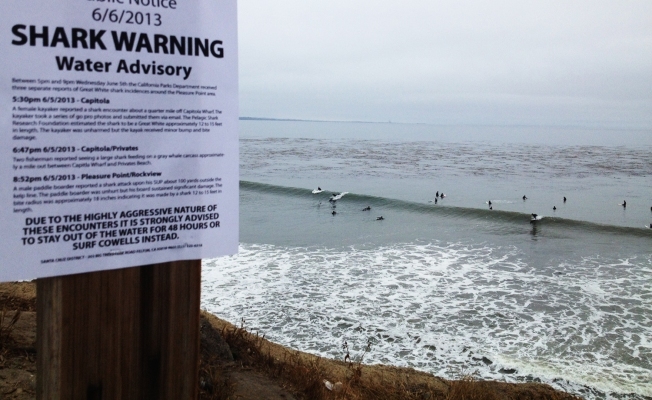 Shark Warning signs started popping up at popular beaches in Santa Cruz and Capitola Thursday. But they are fake, according to state park rangers. It wasn't clear who posted the signs or why. The bottom of the notice gave a possible clue. It told surfers to "surf Cowells instead." 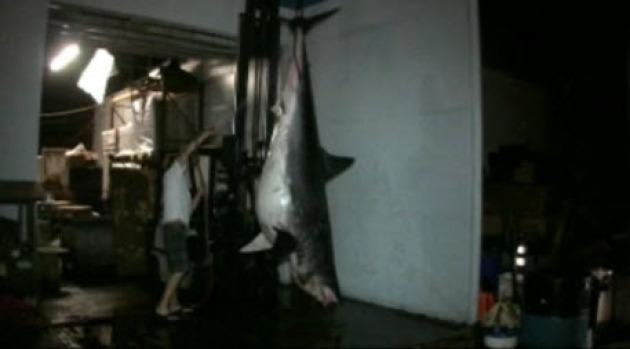 A 1,300-pound shark caught off the coast in Los Angeles may be a new world record. Here in the Bay Area, some people are upset and calling the catch an unnecessary killing of an animal. Terry McSweeney reports. Cowells is on Santa Cruz's west side; Pleasure Point, where the signs were posted, is on the east side. Apparently in the surfing world, those two surf spots have a long time rivalry. It could also have been an attempt to get the some of the surfers to leave Pleasure Point and head to Cowell. It didn't work. Surfers breezed past the signs for the morning surf Thursday. The signs list three great white shark attacks that allegedly happened at Capitola Beach, Privates Beach and Rockview Beach on Wednesday. "Due to the highly aggressive nature of these encounters, it is strongly advised to stay out of the water for 48 hours," the poster read. Police said there wasn't even a shark sighting Wednesday. The signs had a California seal in the upper left corner, were marked "Public Notice." The signs were taken down by late Thursday morning, according to KSBW News.